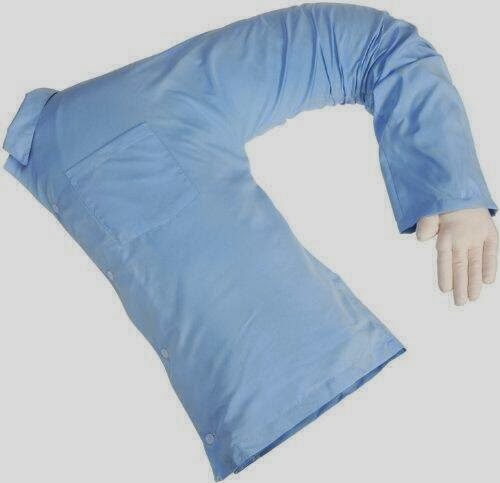 This is a boyfriend pillow, and yes you can buy one. Joining #Days late, Hope tells Ericole and Dan that Chyka is in Morroco, and we don't have an extradition agreement with them. Maggie asks Victor to try to get Brady into rehab. Theresa leaves Brady. Eric leaves Dan's. Hope wants to talk to Nicole, Nic blows her off. Brady offers to make martinis for him and Victor. Vic gives him a look. Nicole tells Eric at the Sq not to announce his resignation yet. Will wants to get married today. Victor tells Brady that him drinking is not a problem. Then Victor says he's done drinking for the day.